Interested in learning or advancing your language skills in Arabic? 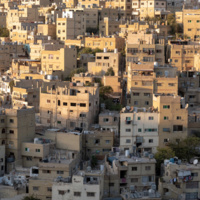 Want to immerse yourself in Jordanian culture? Students on this GEO program will meet with journalists and professionals working with refugees, as well as participate in cultural workshops. To further enhance your cultural learning and understanding of the country of Jordan, you will participate in excursions to sites of natural, cultural and historical significance in Jordan, such as Petra, Wadi Rum, Dana Nature Reserve, and the Dead Sea. There are program scholarships, along with GEO need and merit based scholarships!